Experience IGORA ColorWorx, our most versatile direct dye palette! Ranging from the infinite creativity of IGORA ColorWorx CONCENTRATES, to the bold results of IGORA ColorWorx INTENSE – in total, 11 shades and a diluter allow you to achieve all the colours you can imagine. IGORA ColorWorx INTENSE are Schwarzkopf Professional’s brightest, most intense direct dyes ever. The 4 new outrageous colours are here to embrace the bold colour revolution with unrivalled purity and vibrancy. Choose from Mauve, Fuchsia, Turquoise and Coral, which deliver a new level of vibrancy and intense shine. 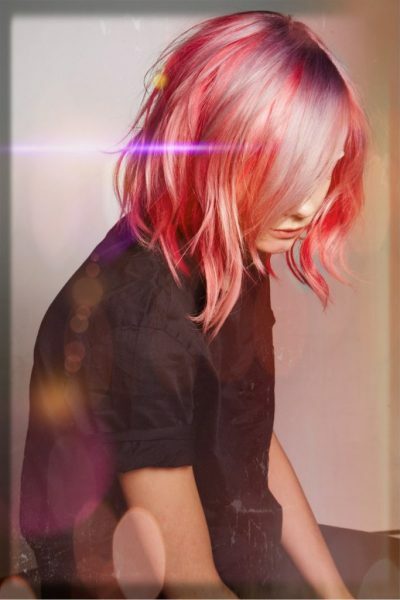 Who’s tried the pink hair trend? We love the #PEEKABOOHAIR look created with IGORA ColorWorx INTENSE in Fuchsia with Coral on top! An alluring pastel palette that is enriched with characterful hidden colour panels. If you’re looking for IGORA ColorWorx Manchester, come to Peter Marcus. Each of our salons use and sell Schwarzkopf items from across the range.